This magazine wouldn’t be possible without the dedication and contribution of these talented individuals who help foster the love of the written word and the arts. I would also like to express my gratitude to all of our readers and champions of small press and indy magazines & journals. 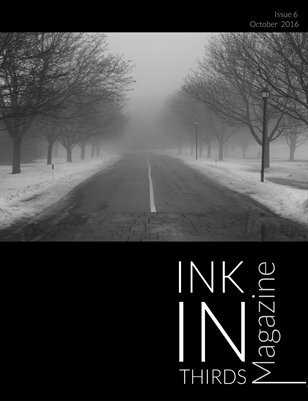 Also take a moment and check out this review of Ink In Thirds – Issue 5 published in The Review Review. We are beyond thrilled with the lovely feedback so far! Remember, keep writing. Keep submitting. Keep your passions burning! Next Entry #MondayMotivation – William Strunk, Jr.